MiJi and I have both a cultural background where bathing rituals are a very important heritage. Even though public bath houses are not very often frequented anymore and have gone out of fashion in their respective countries, there seems to be a growing interest in Switzerland. 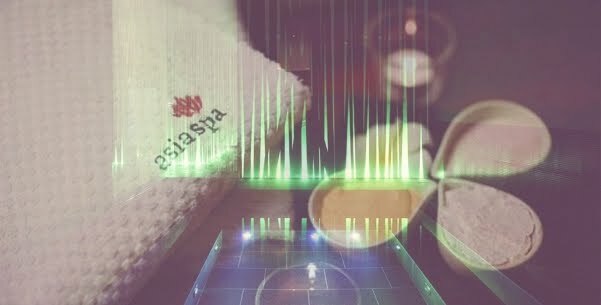 One of our favorite spa's in Zurich, Asia Spa, has recently invited us to relax in their newly built Hamam. We joined the Hamam Premium Program, which includes a steam bath, peeling, relaxation time in the pool, a mud treatment and of course some delicate tea. The whole program takes about 90 minutes and the best thing, that truly does justice to the word relaxation, is the guided program provided by the staff. You don't need to worry about the program sequence or timetable. The staff will direct you through the 90 minutes of ease. Another positive aspect is that there won't be any other visitors in the area you stand. We attended the Hamam Premium Program during exam time. We were really stressed and needed some moments of peace and calm, which we got during our stay. Have a look at Asia Spa's wide range of offerings and find a program that fits your mood and condition! I've never done one of these before!!! Sounds interesting and much needed after a stressful day! wenn ich das nächste mal in der türkei bin, geh ich auch endlich mal ins hamam..habs schon ewig vor! I'm glad you touched upon the Hamam topic. Bathing rituals were of the supreme importance in my cultural background too. I was wondering - can you do a post on natural Korean and Turkish beauty secrets? I am a fan of using nature for the benefit of our physical well being. Thanks in advance!